You likely read articles like this because you hope to become more productive. But do you want to get more things done every day so you can achieve a better work-life balance? Or do you want to free up time so you can fill it with additional work? The importance of rest is easily relegated to the sidelines. We often fail to recognize that we can’t optimize our productivity without it. For your mind to work well for the long term, you need to give it some downtime. Some people have to schedule breaks from work, and even must establish rules for what they can and can’t do during those times. And that’s okay—I’m a classic example of this! If I didn’t follow this advice, I would work every moment that I’m awake. If it’s not your natural inclination to slow down and take breaks, the next best thing you can do is to intentionally schedule work breaks and rest. Yes, I know that rest sounds like something you shouldn’t have to schedule. And that scheduling it ruins the whole concept of relaxation. 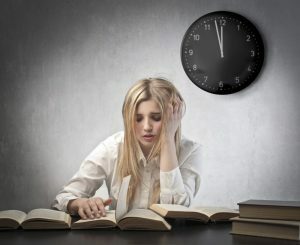 But if you’re like me and always feels tempted to continue working through all hours of the night, scheduling might be the only way you’ll ever get any rest. The amount of rest you need to plan for is a personal matter. It depends on multiple factors, like how much time you require to physically and mentally unwind so you can optimize your productivity the following day. It’s tempting to plan less rest than you truly need. But don’t give in to that temptation. Think about how much time you actually require rather than how much time you think you can spare. Then schedule that time as non-negotiable rest. People often forget to rest. They may get o engrossed in their work that they don’t notice the passage of time. In cases like this, it’s unlikely that they’ll look at the clock and remember that it’s time to stop working. They need prodding. If you’re like this, definitely take advantage of digital reminders and alarms and reminders. If you already use an app to make and keep appointments, be sure you’re using the reminder and alarm features to stay committed to your rest schedule. Your goal for your resting time is to relax and to recover from your day at work so you can be optimally productive the following day. Since it’s for people like us to skip resting so we can go do other things, it’s crucial for us to set rules for our rest time. Rules will keep us within boundaries and allow our rest to serve its purpose. Must you use a computer or another screen during your resting time? If gaming or surfing are hobbies you pursue when you aren’t working, you don’t necessarily have to totally rule out screen use. But you should set specific and explicit rules regarding how you can and can’t use the screens. Are there specific things you have to do with your rest time? You may feel like you don’t go outside often enough. You could stipulate that every week, one of your scheduled rest sessions involves light exercise or relaxing somewhere outside. Or if you feel like you should spend more time with your children, set the requirement for yourself that you spend a specific amount of time every week hanging out with them or playing with them. If you don’t already do this, this example is even more applicable to you! It can be difficult to abide by rules that you set up for yourself. So it should be no surprise that self-discipline plays a significant role here. You need to remind yourself that rest is not a waste of time. It’s critical to your ongoing happiness and productivity. Advocates of Getting Things Done and similar productivity methods are excellent tools in the weekly review to plan your schedule for the coming week based on observing the past week. If you don’t already take advantage of a weekly review strategy, I wholeheartedly recommend that you explore them and implement one. It’s the gear that allows many productivity methods to run smoothly. The weekly review offers the optimal opportunity for you to review your rest from the past week and to apply that review to your scheduling for the coming week’s rest breaks. How much time did you rest last week? How does that align with what you planned? Did you rest for so long that your productivity levels were affected? Did you not rest enough? Analyze your statistics, and adjust your schedule accordingly. If your scheduling was fine but you didn’t follow through, you probably need to take an objective look at your self-discipline levels. Rest is critical. The first hurdle you need to overcome is to realize that relaxing isn’t a waste of time, even though inaction may make it feel like it is.